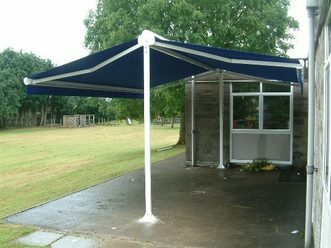 The Meteor 265 is the King size of terrace awnings and is fully cassetted. 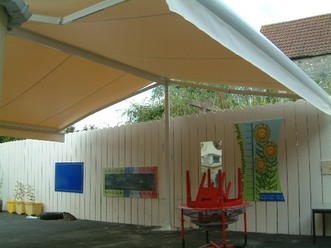 It allows for large coverage areas up to 6m square (20'0" x 20'0"). 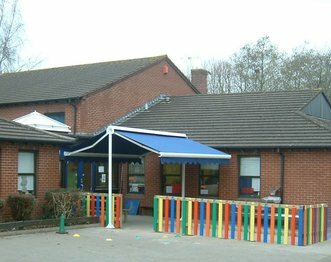 Unlike the Meteor 40 the additional coverage requires that the framework is located into sockets concreted into the ground. 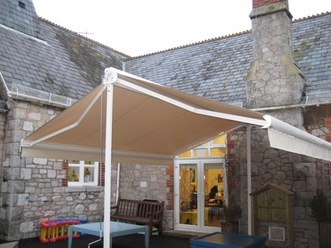 The maximum width is 6m (20'0) and projects both ways to a combined maximum projection of 6m (20'0") supported by spring loaded double cable blind arms manufactured to TUV standards. 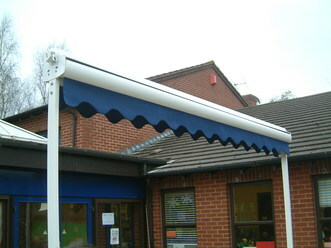 The Meteor 265 system is powdercoated white RAL 9010 but is also available in other RAL colours. 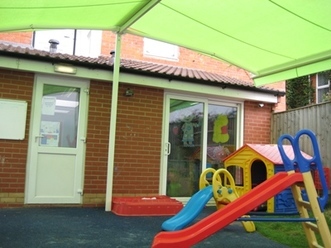 The awning can be covered in a vast range of colourways and fabrics. The Meteor 265 is operated with gear box and detachable winding handle or remote control motor with also the option of automatic sun and wind controls.